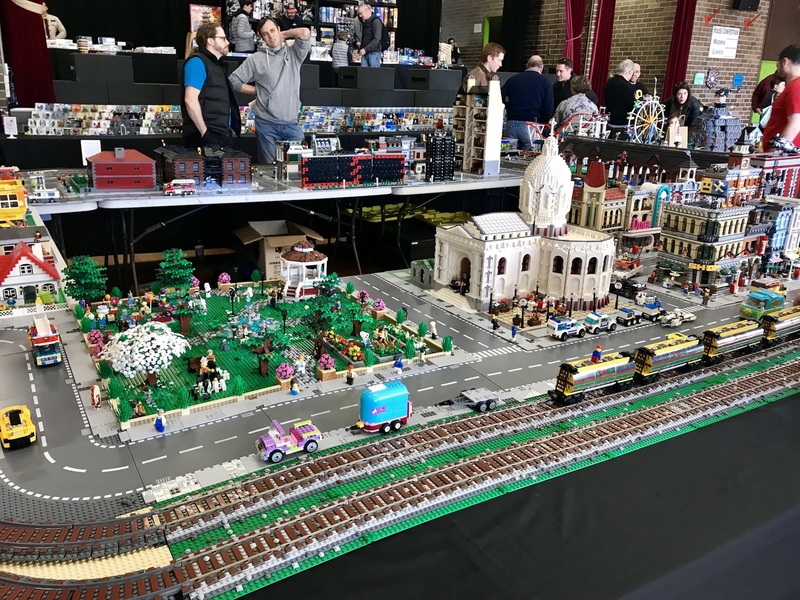 Inner West Brick Fair – Bigger and Better Every Year! 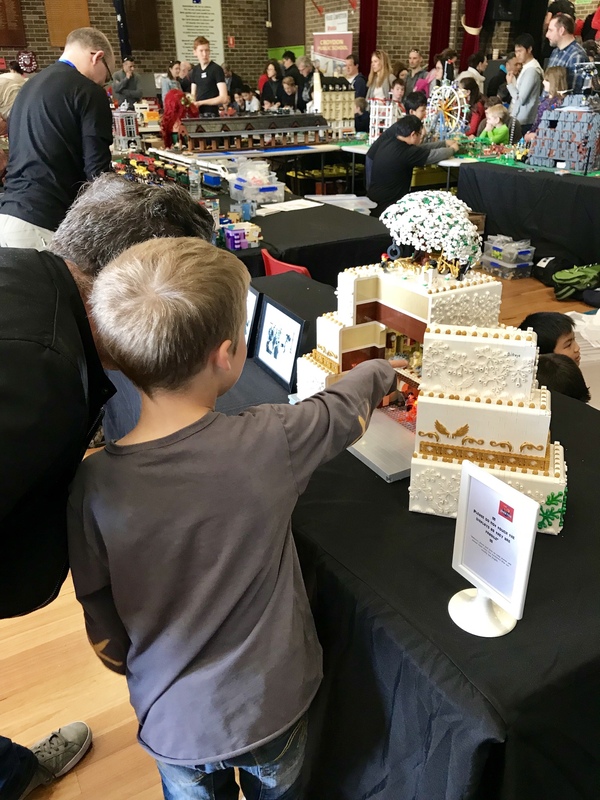 On Saturday 24 June, the Croydon Public School P&C hosted SydLUG for the third annual Inner West Brick Fair. Enthusiasm for the show has not waned with approximately 2000 visitors enjoying the family day out on a sunny winter’s day. 26 exhibitors transformed the school hall with an exciting assortment of displays, an expanded city collaboration and a range of special retail items. Meanwhile, outside the hall families were able to enjoy a hot lunch prepared by P&C volunteers, tasty baked treats, many of them created in keeping with the toy brick theme, donated from resident amateur bakers or a hot coffee from the local barista. 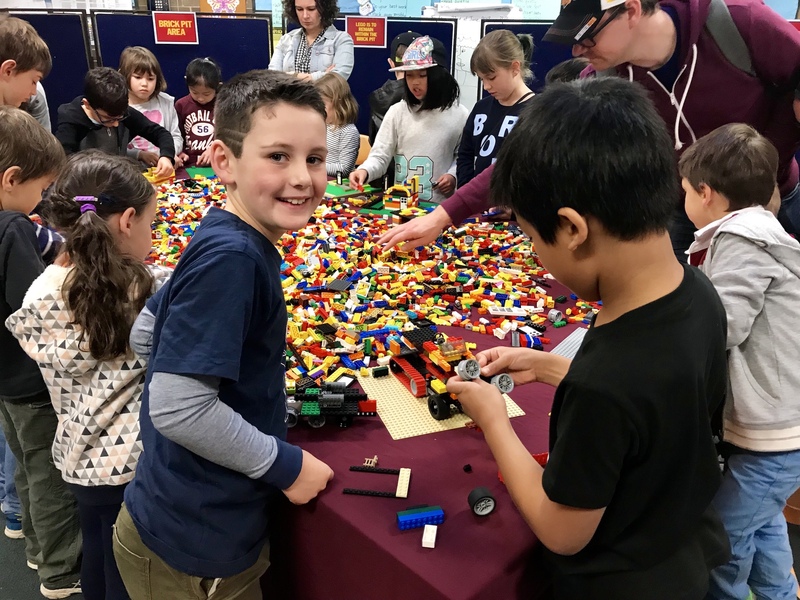 Young fans of LEGO were able to bounce off some of their excitement on the jumping castles, or enjoy the talents of a face painter. In addition to the featured bricks in the main hall, children were able to enjoy trying their hand building their own models either in the ‘brick pit’ or the ever-popular ‘speed build’ areas, hunt for hidden Lego Minifigure posters, or take a photo with cosplayers dressed as popular comic book heroes and villains. 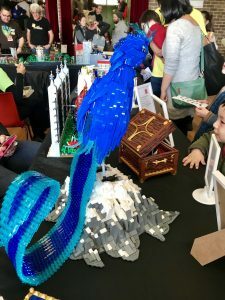 The event continues to be an annual highlight on the school calendar and serves to provide the community with a fun and reasonably-priced family day. This year the profits also allowed the P&C to buy robotics equipment, Chromebooks and to support the 2 day per week speech pathologist. 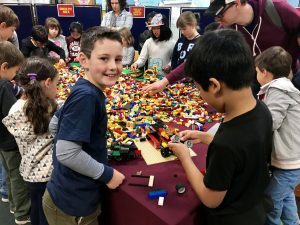 Students across all grades have benefited from P&C fundraising at this event so having SydLUG supporting their efforts is greatly appreciated by the school.